Note that this blog post was about a job opportunity for which the deadline has now passed. We are currently [were] seeking a person with a PhD who can be the Research Fellow on the EU-funded ‘Digital DIY’ project. This project pays for a fraction of my time, but will employ this person to be full-time doing lots of interesting things. So the successful candidate will be working with me, but will also be very capable of doing things on their own initiative. Westminster School of Media Arts and Design is a thriving creative environment. We are continuously building our world-leading research in art and design (with the UK’s highest-ranked broad set of art and design research in REF2014) and media and communications (ranked fourth in REF2014). We seek to appoint a post-doctoral Research Fellow to research, and produce publications, videos and events, for the EU-funded ‘Digital DIY’ project. 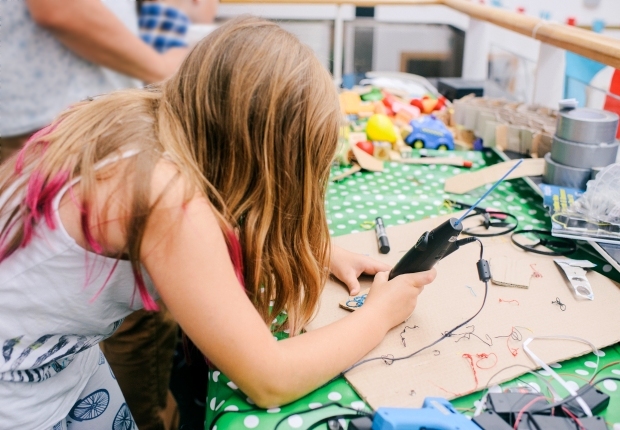 The project explores how people are using digital making technologies – such as 3D printing and Arduino – as well as maker culture more broadly, and their potential impact on creative society. You will be required to conduct interviews, run creative workshops, and make accessible materials for the public, as well as producing more traditional academic outputs such as journal articles. This post will require you to have a PhD in a social science or creative discipline, and excellent written English. You will be familiar with the maker movement and digital technologies, and will be able to leverage contacts and networks in order to organise workshops and events for this project. In addition it is a requirement of the post that you have a track record of academic publications, and experience of online public engagement with blogs, video and/or social media. The ability to make short videos to a good standard, suitable for communicating information about the project online, would be highly desirable. If you follow the link above, you can see how to apply, and also you can download what looks like further information. For some bureaucratic reason that I am unable to explain, the job description and person specification are generic template things and do not helpfully describe the job (though they give you a sense of the generic level it’s meant to be at). The good news is that this text of the job advert, as quoted above, does describe the job. This is a genuine search for the ideal candidate – I hope that they exist, and are available, and will apply! If you know anybody who fits the bill, please do pass this along. Thank you. Photo by Roberta Matis, at Brighton Mini Maker Faire 2014 (see original), used under a Creative Commons BY-NC-SA 2.0 licence.